A Sampling Bee: Udderly Smooth Giveaway! Enter to Win a Basket FULL of Udderly Smooth Products! Udderly Smooth Giveaway! 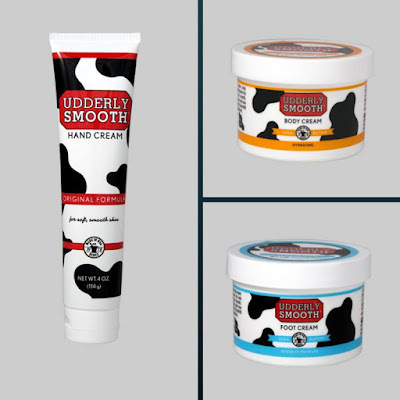 Enter to Win a Basket FULL of Udderly Smooth Products! A few days ago I shared a DIY beauty Treatment using Udderly Smooth, a family owned, American Made product that is great for your skin? Today I am excited to share a few posts from members of the Udderly Smooth Crew and give you a chance to win a basket of Udderly Smooth goodies to try out yourself! Woman of Many Roles made a DIY Lip Gloss that is ...destined to give you Udderly Smooth lips! Pickles n Peppers made a DIY Spray Lotion that is great for a spritz of moisturization where ever you need it! A Sampling Bee made a Homemade Shaving Cream that is going to make your legs Udderly Smooth! Mom Knows Best has the key to waking up your face and body with a rejuvenating scrub to leave you a moisturized and smooth as can be! Mama Dews Reviews made a few masks that are going to make your feel like you have had a luxury spa day! All the Small Things has the recipe for handmade gifts and a way to indulge your senses in an Udderly Smooth way! Do your hands need a little TLC and pampering? Don't miss this way to treat yourself to a spa-like treatment at home from A Glimpse of Our Life. From November 12- November 22 you can enter to win a basket full of Udderly Smooth products! I get dry patches of skin on my arms and it only takes a little bit of Udderly to soften them.